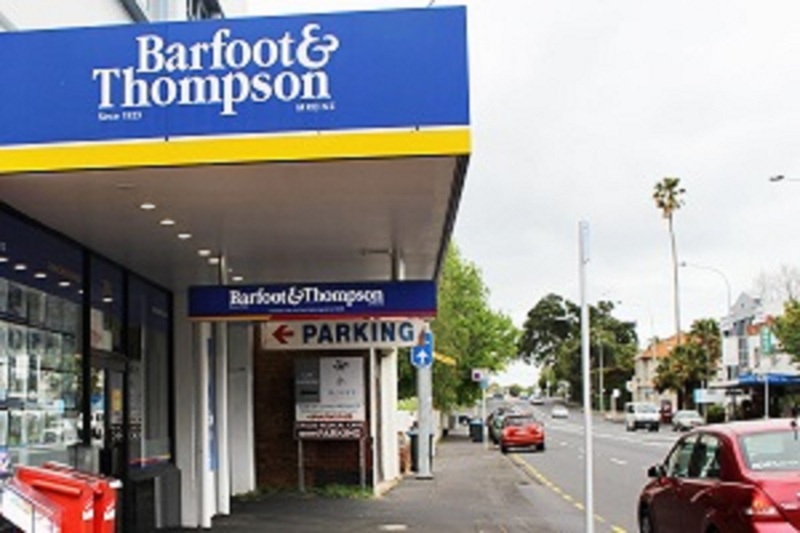 Sales rates ranged from 14% to 57% at Barfoot & Thompson's main auctions this week. The highest sales rate was at the Manukau auction where 17 of the 30 properties auctioned were sold (57%). That was followed by a 43% sales rate at the Shortland Street auction on December 13, where most the properties were in central Auckland suburbs. At the North Shore auction the sales rate was 33%. And at the two Shortland St auctions on December 12 and 15, where most of the properties were in inner west or west Auckland suburbs, the sales rates were 23% and 14%. There was still a high number of properties that didn't receive any bids, and at the North Shore auction 15 of the 30 properties offered did not receive bids. See below for a summary of all five Barfoot & Thompson auctions covered by interest.co.nz in the last week. 12 December. Shortland St, CBD. Most of the properties at this auction were located in inner west suburbs, including Sandringham, Mt Roskill, Mt Albert, Hillsborough, Blockhouse Bay, Avondale, New Lynn, Henderson, Massey, Glen Eden and Te Atatu. Eighteen properties were scheduled to be auctioned but two were withdrawn from sale, two were sold prior to the auction and one had its auction date postponed, leaving 13 to go under the hammer. Of those three were sold and 10 were passed in. There was only one bidder on one of the properties that sold, and there were no bids on eight of the properties that were passed in. Properties at this auction covered a wide geographic spread that included Papatoetoe, Manurewa, Wiri, Otara, Flat Bush, Beachlands, Half Moon Bay, Dannemora and Pakuranga. Thirty seven properties were set down for auction but four were withdrrawn and three were sold prior, leaving 30 to go under the hammer. Of those, 17 were sold and 13 were passed in. Four of the properties that were passed in didn't receive any bids. 13 December. Shortland St, CBD. Most of the properties at this auction were in central Auckland suburbs such as Remuera, Kohimarama, Orakei, Epsom, Mt Eden, Three Kings, Royal Oak, Westmere, and Grey Lynn. Thirty three properties were scheduled for auction but three were sold prior, one was withdrawn and one had its auction date postponed, leaving 28 to go under the hammer. Of those,12 were sold,16 were passed in and six of the properties that were passed in received no bids. Properties at this auction were spread throughout the North Shore. Of the 37 properties scheduled for auction, five were sold prior, one was withdrawn and one was postponed, leaving 30 to go under the hammer. Of those, 10 were sold and 20 were passed in, with 15 of those receiving no bids. 15 December, Shortland St, CBD. Properties at this auction were mostly in western suburbs, ranging form Pt Chevalier to Avondale, New Lynn, Ranui and Swanson. Of the nine properties scheduled for auction, one was sold prior and one was withdrawn, leaving seven to go under the hammer. Only one of those was sold and the remaining six were passed in, with five of those receiving no bids. A summary of Barfoot & Thompson's apartment and commercial property auction held on December 14 is available here . Details of all the properties offered at the auctions covered by interest.co.nz and the prices achieved on the properties that sold, are available on our Residential Auction Results page .